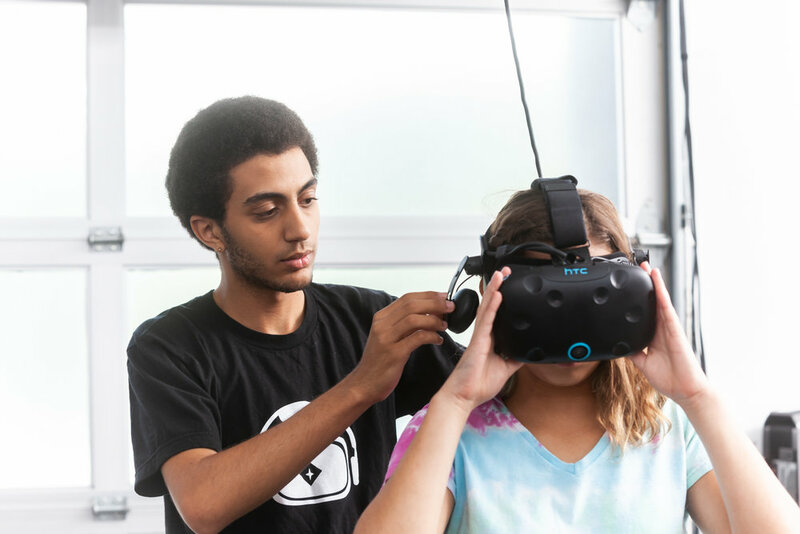 Omniverse VR is a virtual reality (VR) arcade and experience center with a focus on using VR for entertainment and education. We offer VR experiences and game play for individuals, family events, group events, as well as corporate team building and celebrations. We are here to share our love of gaming, entertainment, and technology by providing our guests with the latest, best and safest VR experiences the world has to offer. Come alone, bring a friend, or bring a group to play! From "active virtual reality" using the Omni from Virtuix, to standing room scale experiences for those who are looking to expend a little less energy. Check out our game selection! go to real or imaginary places and experience the universe in ways never before possible. We focus on providing great customer service, a safe and welcoming environment, and an absolutely fun experience exploring an infinite number of virtual universes. Date Nights, Family Nights Out, Birthday Parties, Corporate Events and Group Celebrations. No matter your experience level with technology or "video games"... we have something for everyone for any occasion. We provide high-quality VR Experiences for everyone! Virtuix showing off the Omnis at the Consumer Electronics Show in 2016. This is head to head competition in Virtual Reality made possible in active VR by the Omnis. This experience is available at The Omniverse! Great place to try something new, definitely good for those who don't like the gym but want to work out, my brother and I tried it and we both loved it. Brought my 8 year old twins today and they had a blast. Both of them broke a good sweat while doing this. The staff was great, making an appointment online was easy, and they were right on schedule. I'll be going back. Had a blast! (Also, I'm supposedly naturally good at this VR thing???) 10/10 recommend to visit OMNIVERSE VR! Had a great time today playing several games. If you are curious about VR, I highly recommend checking it out! This is like the next generation of arcade. Rather than dropping quarters into a machine and playing the two-dimensional games of the 1970s and 80s this experience cost a lot more what is pretty immersive and like nothing else I've ever done. It's definitely worth the experience, and ever since I kind of want to get my own VR headset and gaming going at my house. I surprised my daughter with an Omniverse VR experience! She is 9 and she was a little apprehensive about being hooked up into the full VR experience. Thankfully the amazing worker (I forgot to ask her name) was SUPER patient and amazing with us. When she saw my daughter was not comfortable in the strapped in version she offered for her to be on the VR that is a headset and controller only. She was amazing with customer service. I myself did the full, strapped in VR and it was amazing! My daughter enjoyed the more low key version as well. We will definitely be back! Took my sister and bro in law. It's the best VR arcade I've ever been to! The full body experience really takes VR to the next level!! Can't wait to get the high score the next time I go with a bunch of friends! It was a joy to watch my 14 yr old son and husband have a blast! I would recommend this for birthday parties! Took my 12 and 13 year old boys and they loved it! Great workout! They were sweating and smiling at the same time! I took my son here as a surprise birthday gift. He turned 10yo. Was he ever surprised and did he love it. The staff is extremely patient and helpful. Thoroughly explained how everything works. It was great!! And it's not just video games. My son, of course, played the games but I did the underwater whale experience. WOW!! It was a total scuba diving experience. Cannot recommend them more highly.